We have been selling moissanite for many years and when Charles & Colvard started selling Forever One moissanite, I felt the demand for moissanite exploded. Now customers have so many choices when it comes to moissanite. We are proud to carry Charles & Colvard moissanite and Harro Gem moissanite. A lot of our customers ask us which one I prefer and which one is more popular. Charles & Colvard moissanite is the most popular, in my opinion. That doesn’t mean it is the best though. Charles & Colvard moissanites come in different qualities, shapes and sizes. For the most part, we can get the stones within a day or two if we don’t have it in stock. 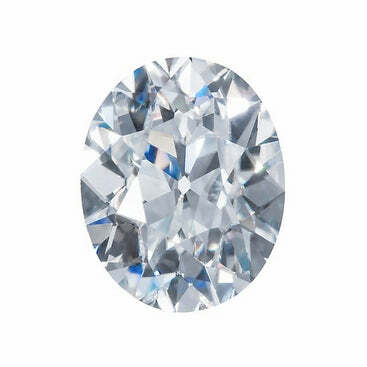 Harro Gem Moissanite by far has all the unique shapes. The Harro Gem has cuts like the Crushed Ice Oval, Antique Oval, Antique Cushion, Pillow Cut Cushion, Old European Cut, Single and Double Rose Cuts, and many more. Charles & Colvard tends to have more traditional cuts. 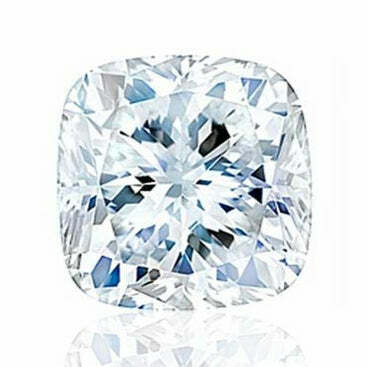 Another unique reason for going with a Harro Gem Moissanite is if you are looking for a specific measurement stone. The Harro Gem can be custom cut to any length and width (or ratio). Here you will find a link more about ratios. Charles & Colvard and the Harro Gem are both very popular moissanite options. It all depends on the shape and cut you are looking for. We wouldn’t sell a product we are not happy with and you will be happy with either one.